Have you ever wondered what a specific tool was used for or how to use it? I'm going to attempt to give a brief explanation of what a few different hand tools and power tools are and what you can do with them. 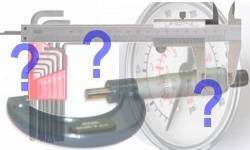 Do you know of a tool that is often misunderstood? If you would like to submit an article on the tool of your choice just email it to me at the address below and I'll post it on the site with a credit to you and/or your website.